There have been 178 images uploaded to this topic. (View topic image gallery). There are 780 posts in this topic. You are on page 2 of 16. Where did you purchase the wire benders, I've seen them but can't seem to find a good place to get them? I'd try those two first. You are talking about the lead bender guide for resistors and other board components right? The rom in question is the IC17 flipper rom which uses a 2532, all the rest are 2716s, is there a difference? This is a Black Knight system 7. Where would be the best source for a replacement? Yes, there is a difference. They have different capacities. You can't mix/match them. Sys 7 games do use 1 2532 flipper rom and 1 2716 flipper ROM. I can supply ROMS for pinball machines and would welcome your business, PM me if you like. Thanks! I appreciate that! I just replaced the 40 pin connector, but the game still locks up when I lightly press on the right side where the boards join. Same as before. I can't see any bad solders or breaks on the board. Trying to move the roms doesn't seem to be the problem. I love a challenge, but I may end up having to send vid a plane ticket. Actually I just found a break inside one of the green wires to the upper connector on the driver board. The wire wasn't broken but the connection from the upper right plug to the driver board (where you can't see it) was broken. I re-soldered it from the backside, and thee Black Knight rides again! With a brand new 40 pin connector. Have you ever been to California, vid? Just a fuse this time, an old fuse. Seems to be working good now. Yep, perfect! FIREPROOFING SYSTEM 3-11 POWER SUPPLIES. Whenever you hear someone boasting about "Williams Quality", you automatically know that they have no idea what they are talking about. Undersized GI wiring, toasted connectors, thin clearcoat and paper thin ramps are nothing compared to your game actually catching on fire. Why would it catch on fire? Because Williams neglected to fuse the bridge rectifiers! Not in just one model, but all the models up to 1987 (ironically ending with the game "FIRE!"). 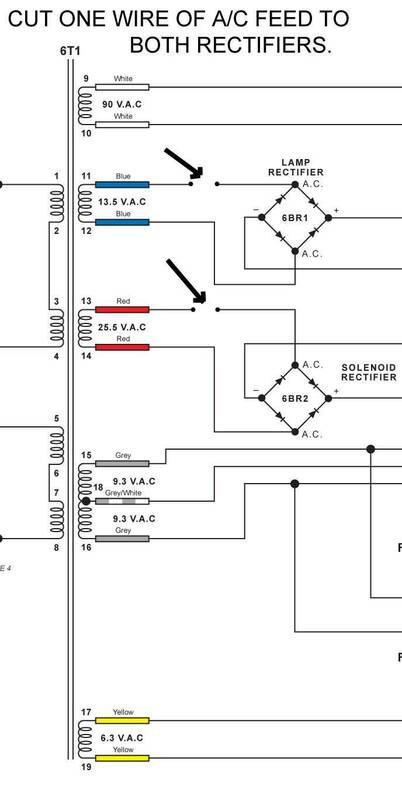 A Bridge Rectifier turns AC current into DC. It is basically 4 diodes in a single, easy to mount case. 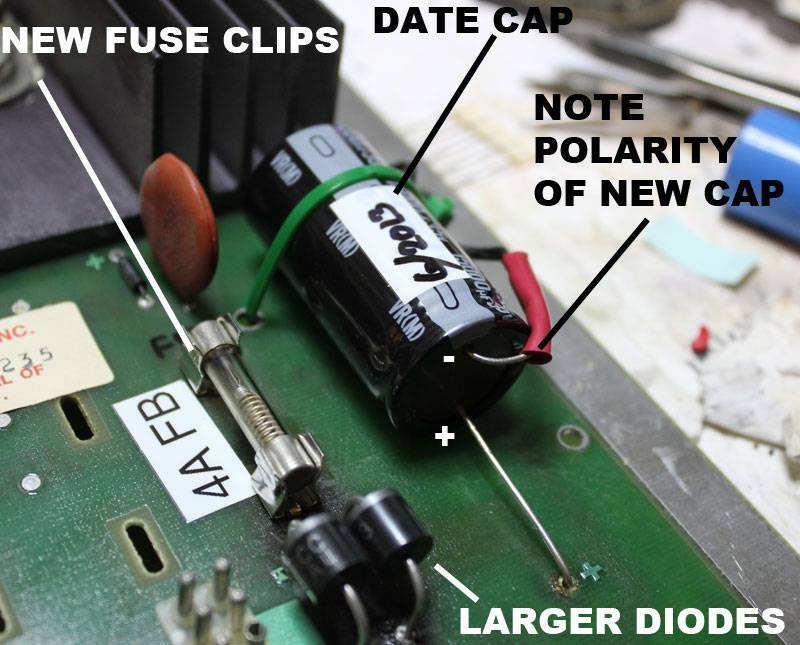 If we know one thing about diodes, it's that they short out all the time. If we know one thing about electrical shorts, it's that if you don't have a fuse to break the circuit, you often have a fire. 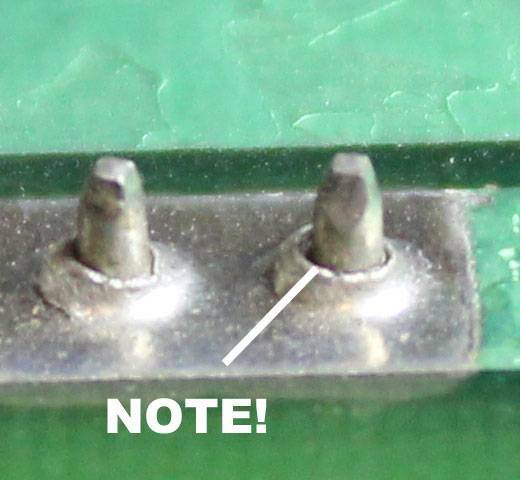 So it is vitally important that you perform this safety mod on all your Williams pins made from 1977-1987. 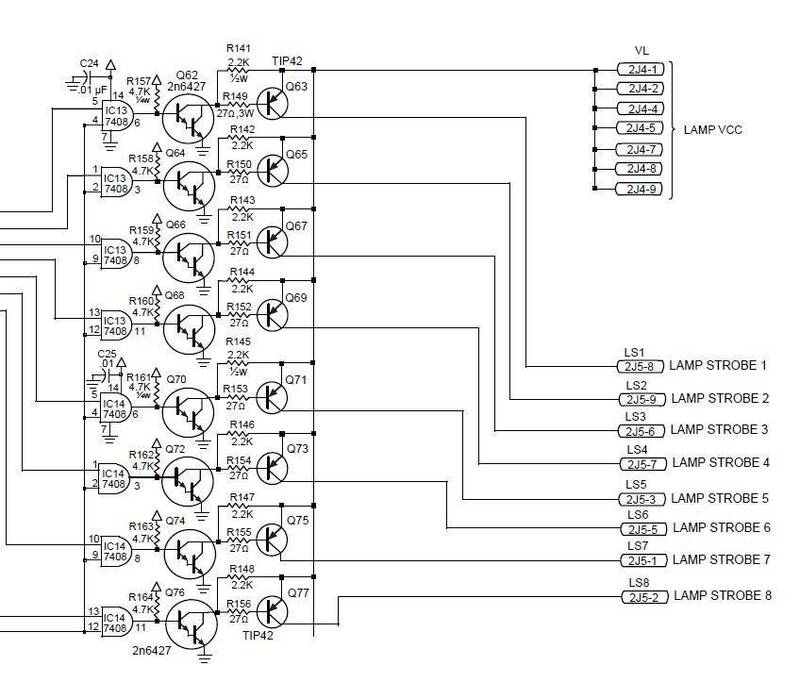 Oftentimes it is good to look at a schematic to see, in theory, what a mod is going to do. We are then going to re-complete the two circuits using a fuse to make the connection. 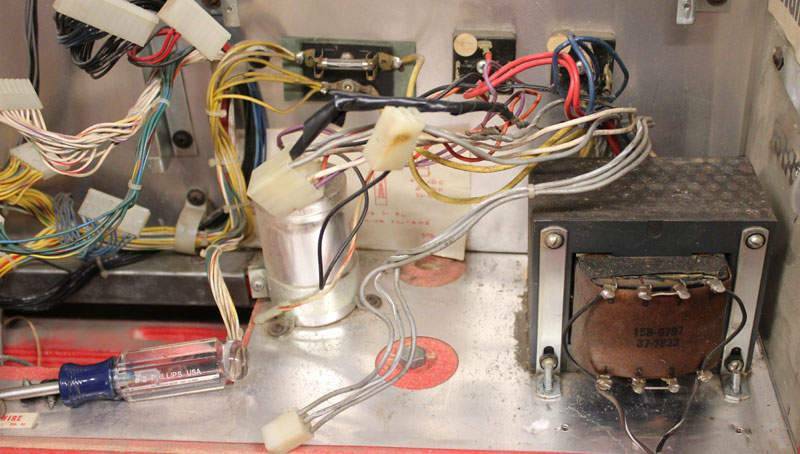 If one of the Rectifiers shorts out, it will pull more than 8 amps of current, and thus cause the fuse to burn out; saving the transformer, the game, and your house. (2) 8" Pieces of 16-18 gauge stranded copper wire. One Red, one Blue. The Spade Connectors crimp on. You remove the Plastic Insulator, crimp, then put the Insulator back on. Don't forget to slide the Insulators down the wire BEFORE you crimp the 2nd Spade. Otherwise you won't be able to put them on after. 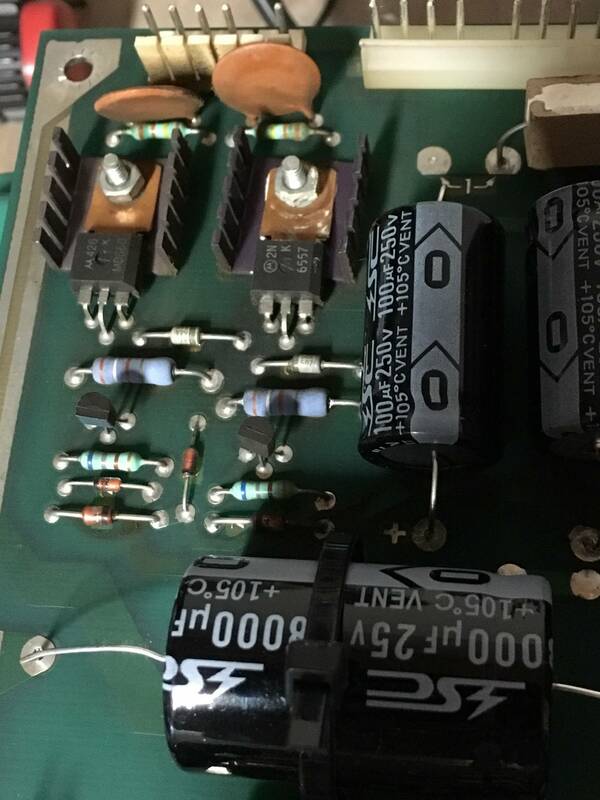 If you have any dead PC Power Supplies laying around the shop, you can snip off the correct color wires without buying a whole roll at the auto parts store. The Rectifiers are in the backbox. Here the protective transformer screen has been removed. Here are the two Rectifiers we need to fuse. 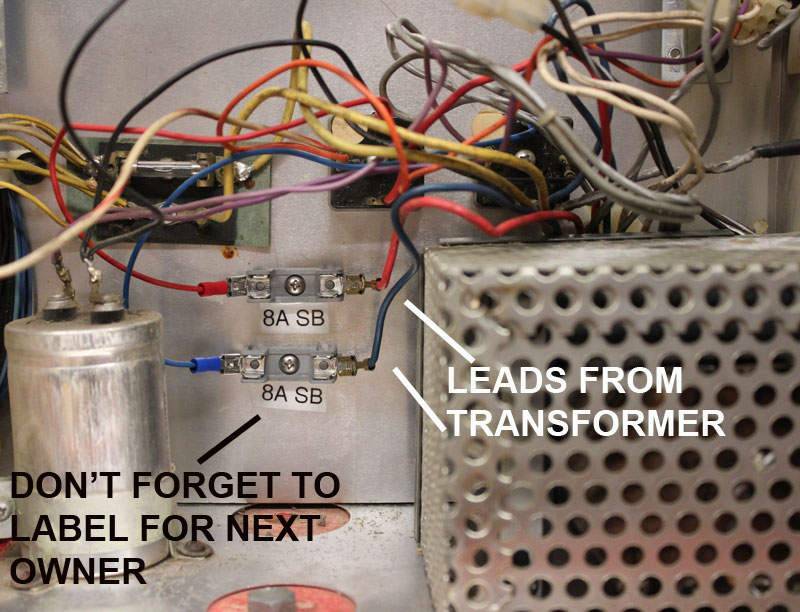 Note that one has 2 leads of Red wire coming from the Transformer, and one has 2 Blue leads. 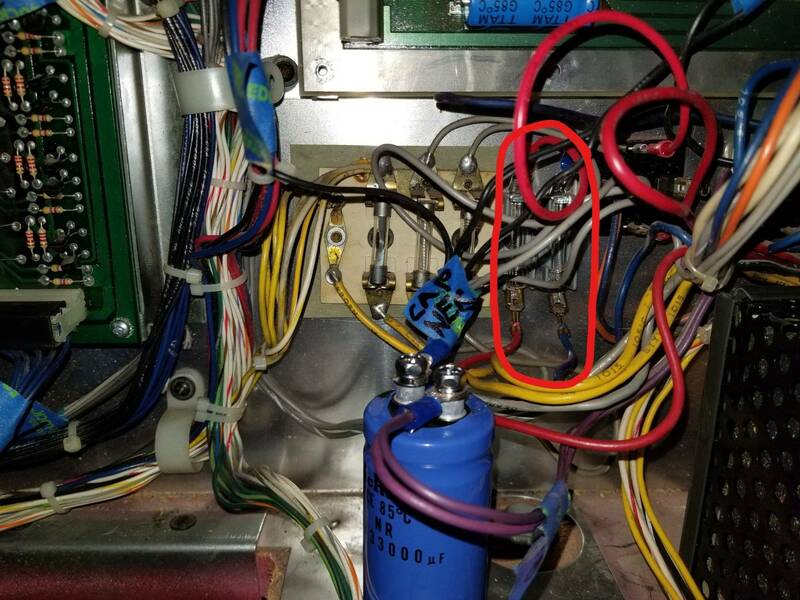 If you for some reason pulled all the wires off of one of the Rectifiers, note that the AC (2 Red or 2 Blue) from the Transformer goes to the 2 lugs marked with the ~ symbol. The other 2 lugs are marked + and -. 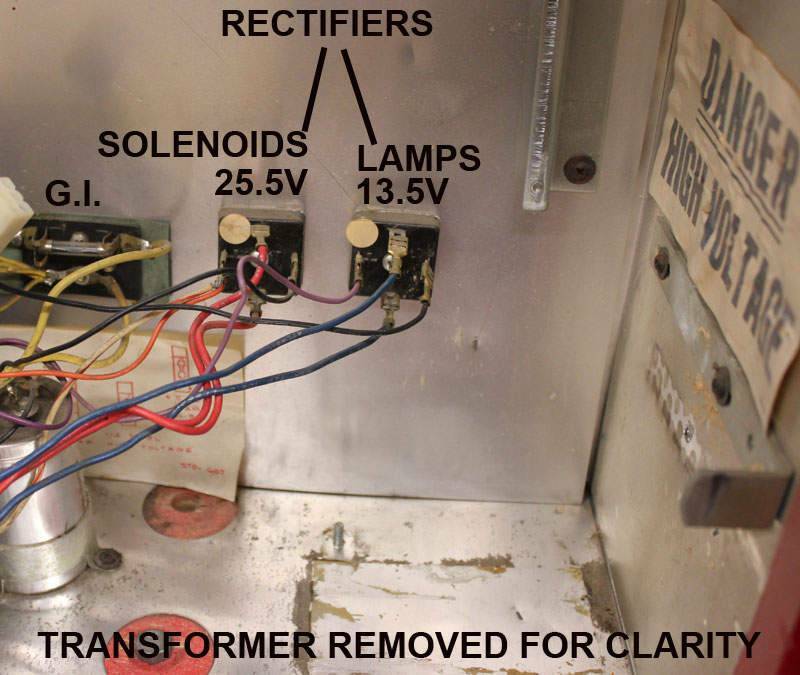 Here I removed the Transformer for clarity, but you won't have to. We only need to fuse one lead from each Rectifier. Pull one Red and one Blue lead. 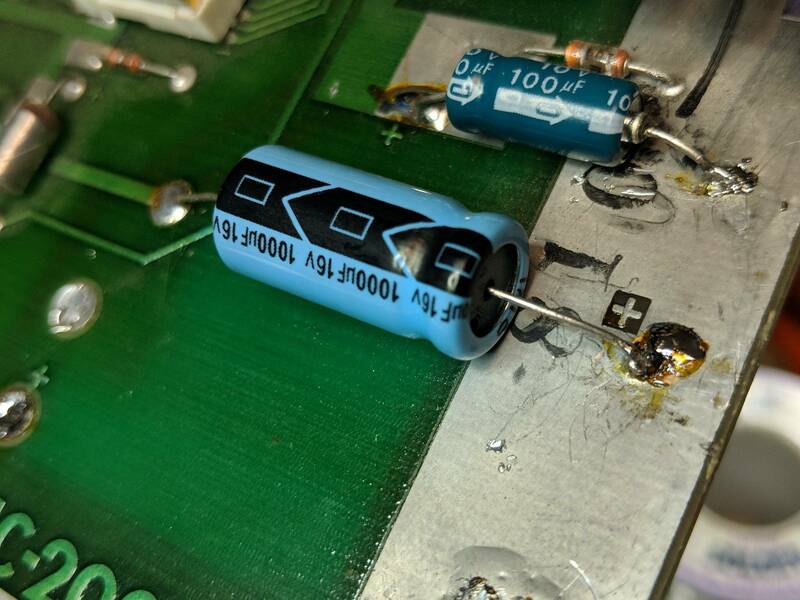 Sometimes, crazy people use solder to attach the Spade connector to the Rectifier. Heat the solder up with a soldering iron and pull on the Spade (not the wire itself) with pliers until it wiggles loose. Curse the person who did this to you as you work. 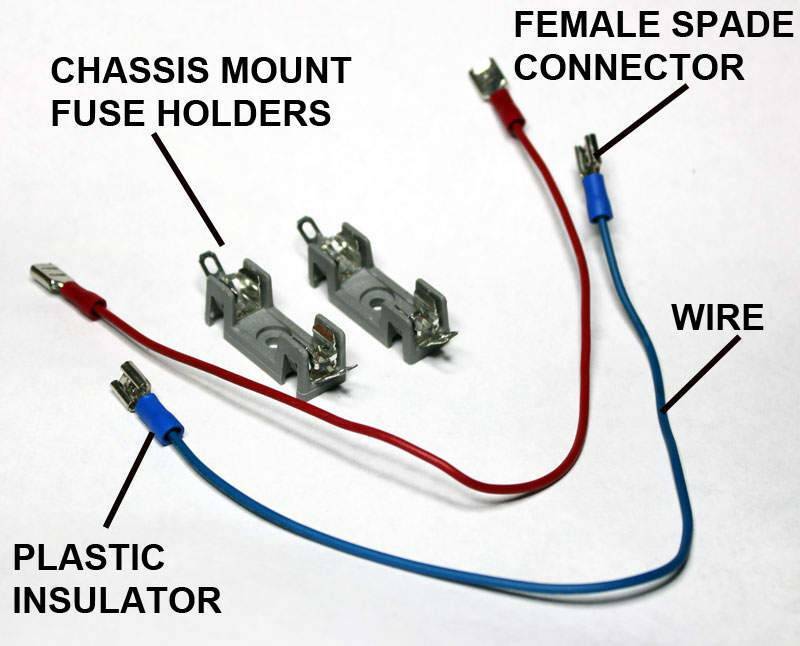 Attach a Fuse Holder to a Rectifier with the correctly colored wire. Screw the Fuse Holders to any convenient location, so you can easily see them. Don't hide them behind the transformer cage or the big Capacitor. 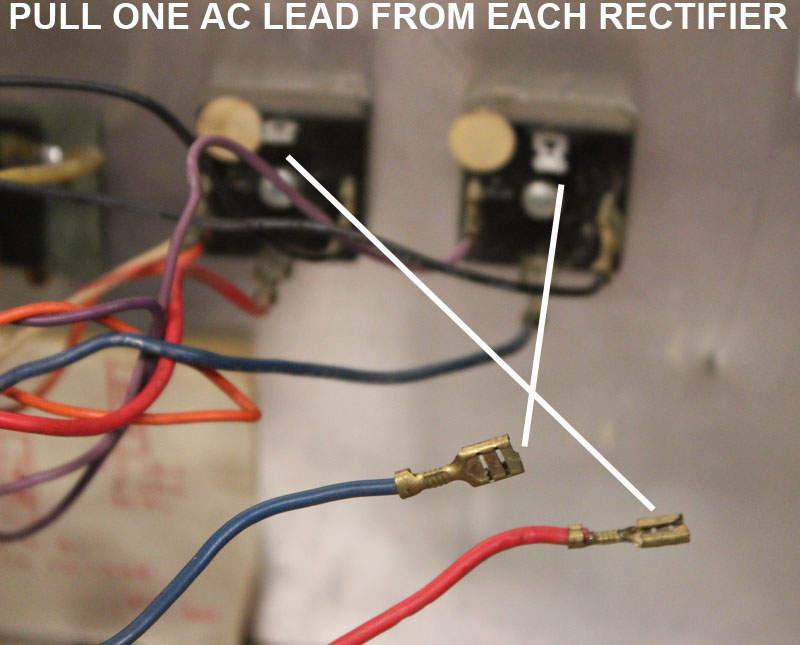 Attach the 2 leads from the Transformer that you pulled off the Rectifiers, to the Fuse Holders. Install 8 AMP, SLOW BLOW fuses. The fuses complete and protect the circuit. Always label the fuse holders. The next owner of the game will not be able to find the fuse values in the owners manual, so you need to make sure you do this. If you don't have labels, just write clearly with a Sharpie marker. Awesome guide! Vid, when do you sleep?? 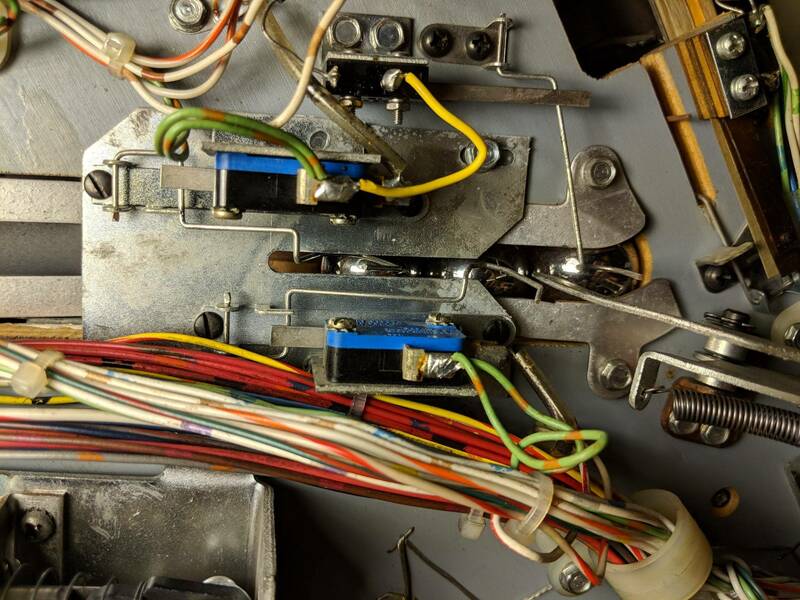 Maybe a little hacky but when having no spade terminals on hand I have also just cut the wires in the middle and soldered the fuse holders in. Hey, at least it's a safety hack. Just to play devils advocate, I go with a completely different socket theory when installing. I've given up on the machined pin sockets whenever possible, I've found that good double-wiped stamped socket tends to be the better part. It gives much more surface contact area between the socket and the chip, and also there's a bit of flex to the socket that greatly reduces the risk of damaging a chip during insertion. The machined pin sockets are so rigid, that you have to have the IC aligned perfectly or risk bending legs. Also, I've gotten away from putting a socket under every chip. Given how much repair work is always related to sockets and connectors, I just view them as a potential failure point in the future. RAM/ROM and 40 pin chips are all I use them for now, and almost never for logic chips. Once you eliminate all the heat coming off those lamp resistors, and get the batteries off the CPU board, it removes the bigger causes of logic chip failures in the first place. Particularly the switch matrix section, which is almost always a heat-kill when something fails. As long as there is enough slack in the wire so you are not fighting to find a place for the fuse holders. 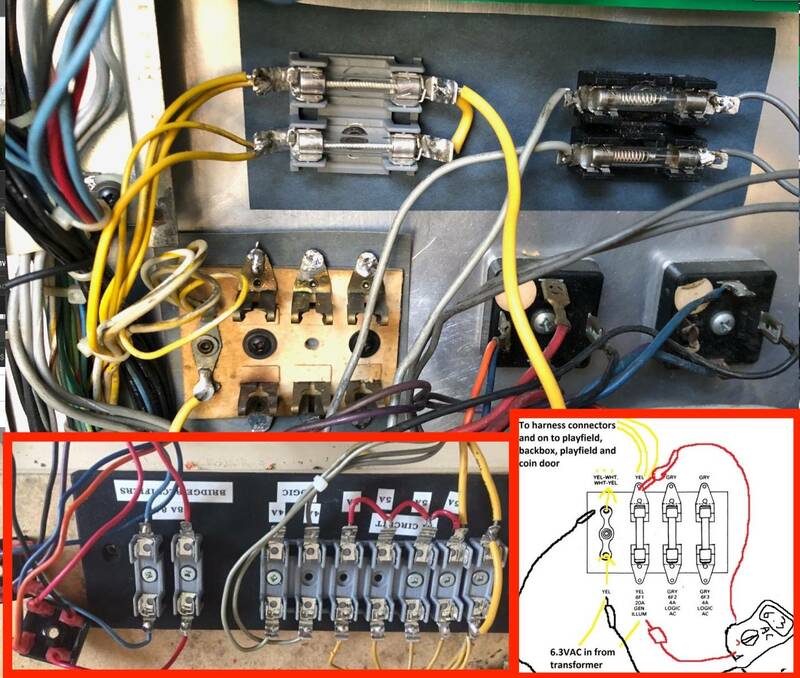 Derik wanted to know in an email, if he could use an "Inline Fuse Holder" like often seen in automotive applications. As long as the holder is rated for the voltages (some auto stuff is only rated for 13 volts), and the amperages, then it would work. BUT the biggest drawback is that you can't see a blown fuse, nor test it without taking the holder apart. So if it is the only fuse holder left on your deserted island, use it. But otherwise there are better choices. Thanks for the reminder Vid! I'd done this years ago to several games but your post reminded me to do it to a couple more recent acquisitions. The pinball world is a slightly safer place thanks to this. Here we are going to get the power supply board rebuilt. 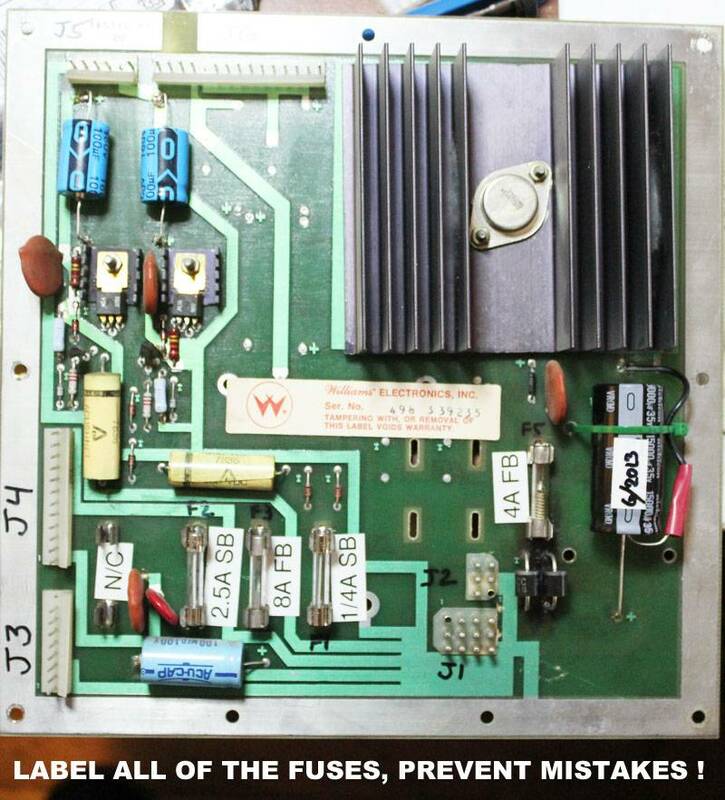 These boards are over 35 years old already, so there are old parts to replace, and reliability updates to be made. There are not a lot of expensive parts on this board, so you can very inexpensively get this job done. Don't skimp. When you are done, the board will function better than new. Looking at an example board here, we see that nothing is labeled from Williams. 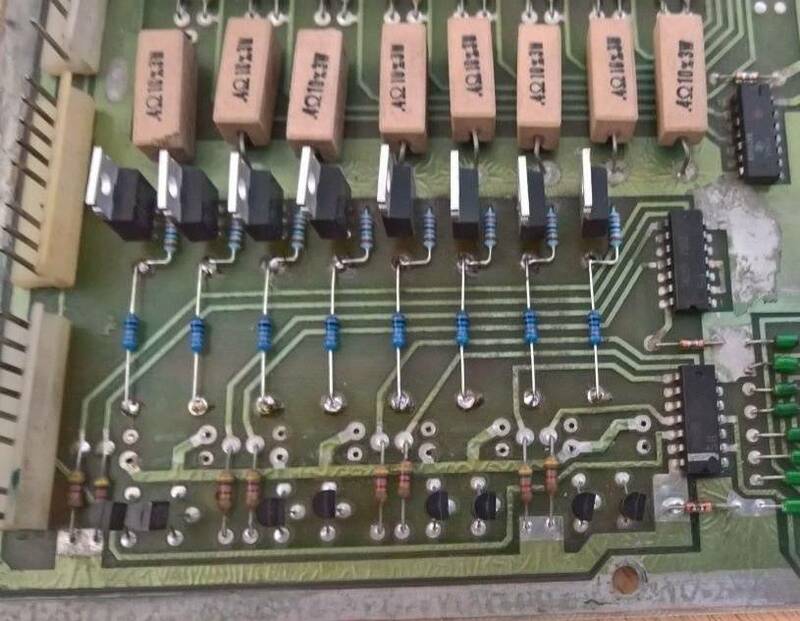 Not the connectors, not the fuses; only the polarity of the diodes and capacitors are marked on the board. Let's start with the 5v section, this always needs updating. 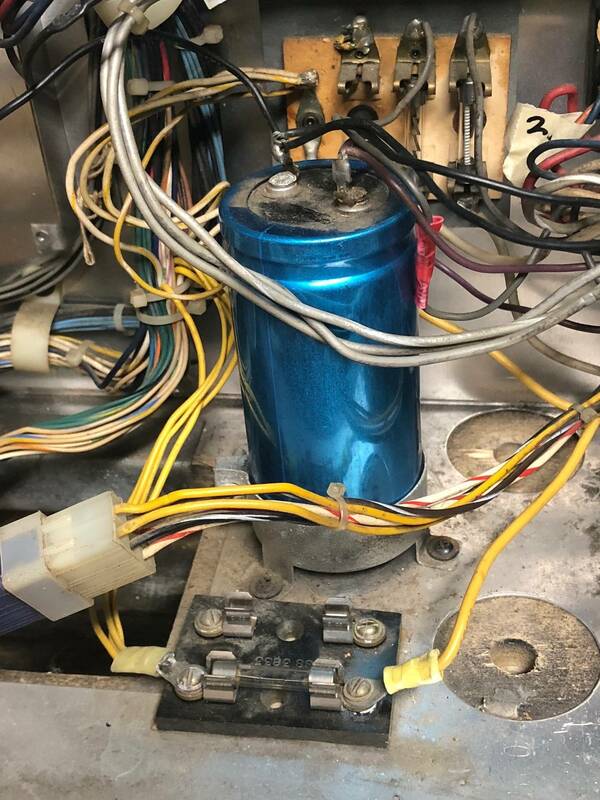 First and most importantly, the C15 12,000mfd 20v Capacitor has to be replaced 100% of the time (C10 is 18,000mfd 20v on Sys7). 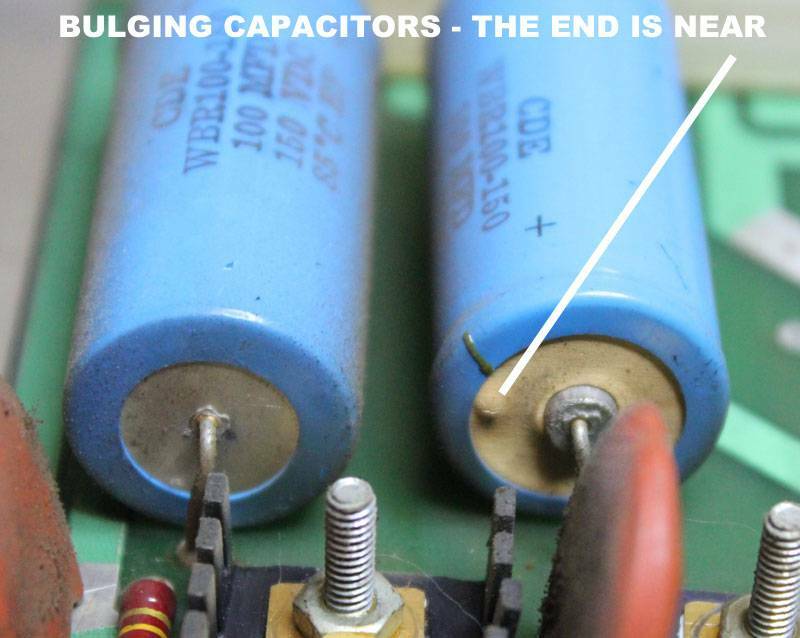 Capacitors are designed to last 10-12 years and this one is 3x that old. The one in this picture had a 1989 date code, so it had already failed at least once. If your game has more than two flippers, you will need to upgrade C15 to a 15,000mfd Cap. Use a Cap with a rating of at least 16v, but higher voltage Caps will last longer. It can be hard to find a 12,000-15,000 Cap in the Axel style of the original, so you might have to use a Radial, or Snap-cap style. Next the Diodes D7 and D8 are always burnt and stressed. These were undersized from Williams. Replace these with beefy 6A4 Diodes. 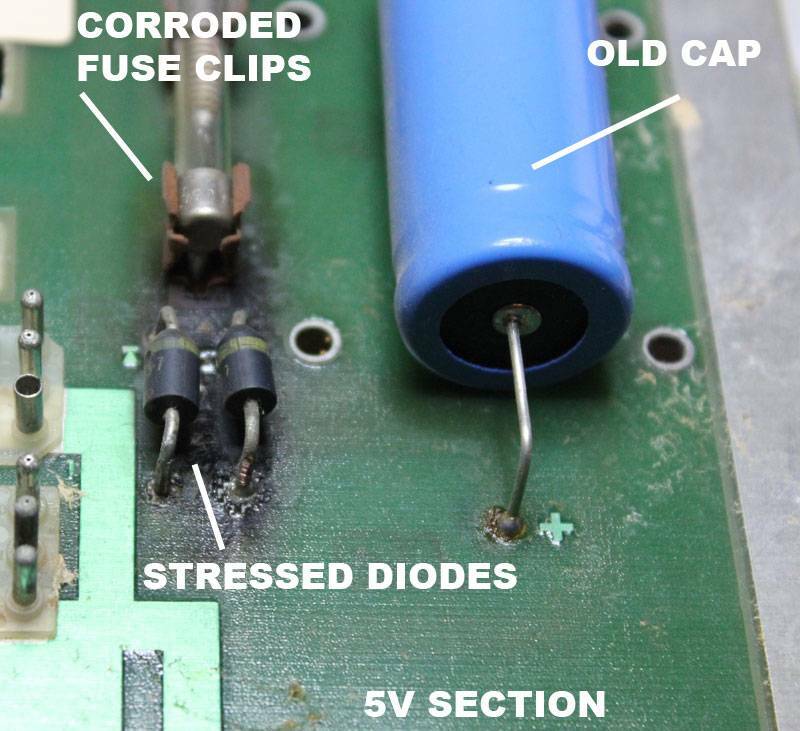 Check all the fuse clips for tarnishing and corrosion, especially F5 here in the 5v section. Oftentimes when the voltage is too low, it is these cheap clips that Williams used. For the 10 cents that they cost, don't bother trying to clean up the old ones, just replace them. TIP: Put an old dead fuse in the new clips while you solder. It will keep the clips perfectly aligned. Don't even think of trying to clean Fuse Clips like these - replace them! I put sockets in for every IC. 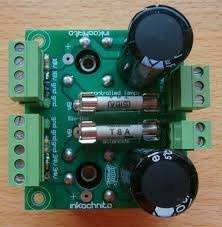 These driver boards specially in the solenoid section. Stuck/shorted coil can fry them pretty easily. Repeatedly trying to desolder ICs puts a lot of stress on the pads and through holes. New Fuse Clips, and a label so you (or the next owner) don't have search for the proper fuse value. New beefy 6A4 Diodes. Mount these off the board slightly to give room for some air flow. New 15,000mft 35v Capacitor. I could not find any Axial style caps of this value this week (Axial caps have one leg coming out of each end, like an axle), so I use a Radial (where both legs come out of one end). I soldered a piece of wire on to extend the negative leg around to the negative terminal of the circuit board. Polarity is important here. Some Caps go out of their way to mark the +, some the - leg. This one had the negative leg marked with a white stripe of - symbols. Always zip tie the cap in place. You don't want a big cap vibrating around and becoming damaged. There was no date code on the cap, so I labeled it. Should be good for 10+ years (probably much longer since we are using a 35v cap in much lower voltage circuit). Next we move over to the High Voltage section. Note that if you are using LED displays (like Xpin or Pinscore), you don't need to update this section at all. 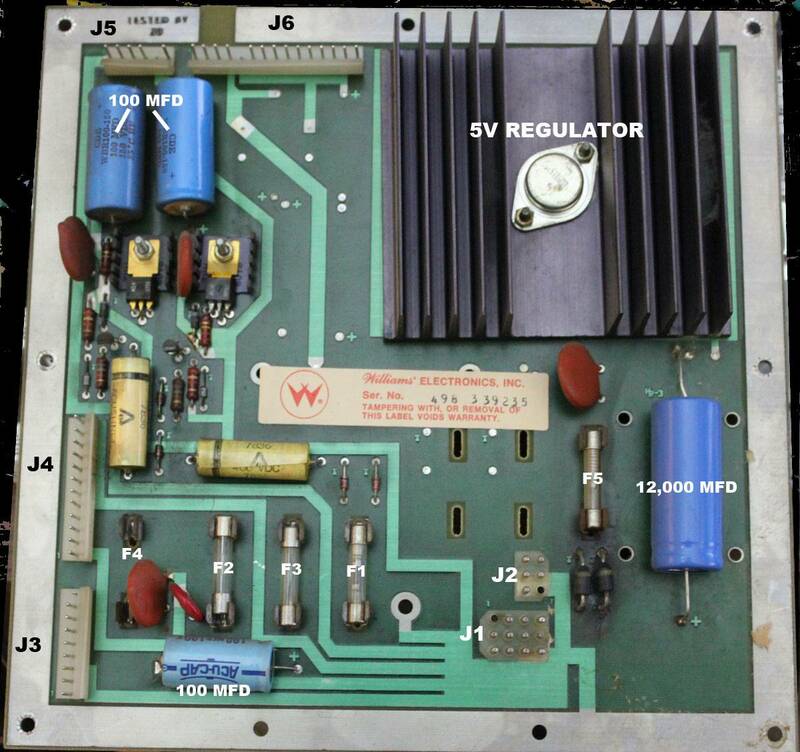 The high voltage is only used for the older gas displays; LED displays run on only 5v. In fact, you can just pull fuse F1 if you are using LED displays. This will kill power to the high voltage section, making the game slightly more reliable (you can't have a component short out or catch fire if it does not have power). Under connector J5 at the upper left side of the power supply we have two 100mfd 100v caps, C7 and C11 (C1 and C3 system7). These are often bad and need to be replaced as part of the normal bulletproofing. I'd use 160v rated caps or larger. On this example, you can see that the cap on the right is starting to bulge. Soon, it will leak open onto the circuit board. Using an ESR meter (more ESR info here: http://pinside.com/pinball/forum/topic/vids-guide-quick-bally-driver-board-repair-bulletproofing) this cap was reading 101 mfd , 18.9 ohms - really bad. So although a regular VOM meter would read this cap as good (Hey, it reads 101mfd, it's got to be good, right????) , the ESR tells the true story. Often if you see the displays flickering, or just dimly lit, it is these two caps; not the displays themselves. Here we have the replacement caps, C7 and C11, 100mfd 160v. 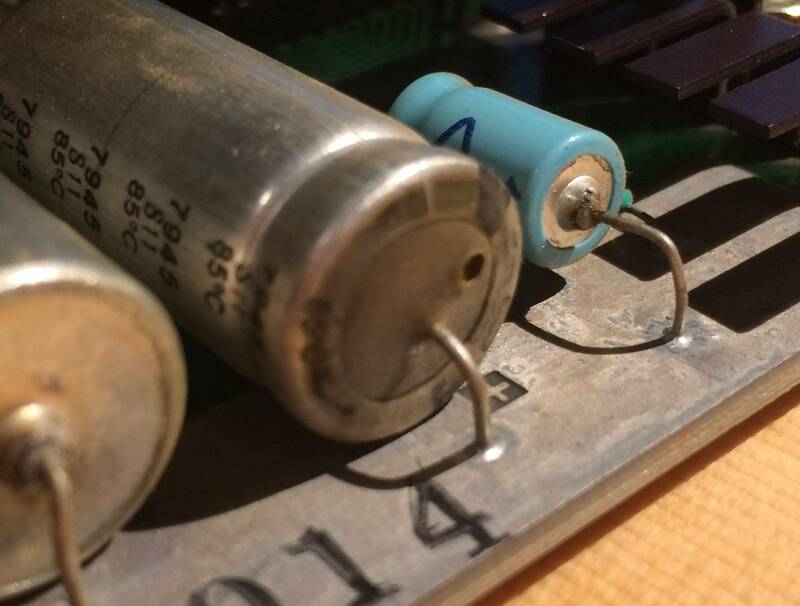 Note that even though the new caps are higher voltage, they are physically smaller than the old, leaky ones. Note that the old caps had markings pointing out the Positive lead, the new caps point out the Negative lead. Don't mix the leads up. One cap has the Positive lead facing north, and the other south on this board. 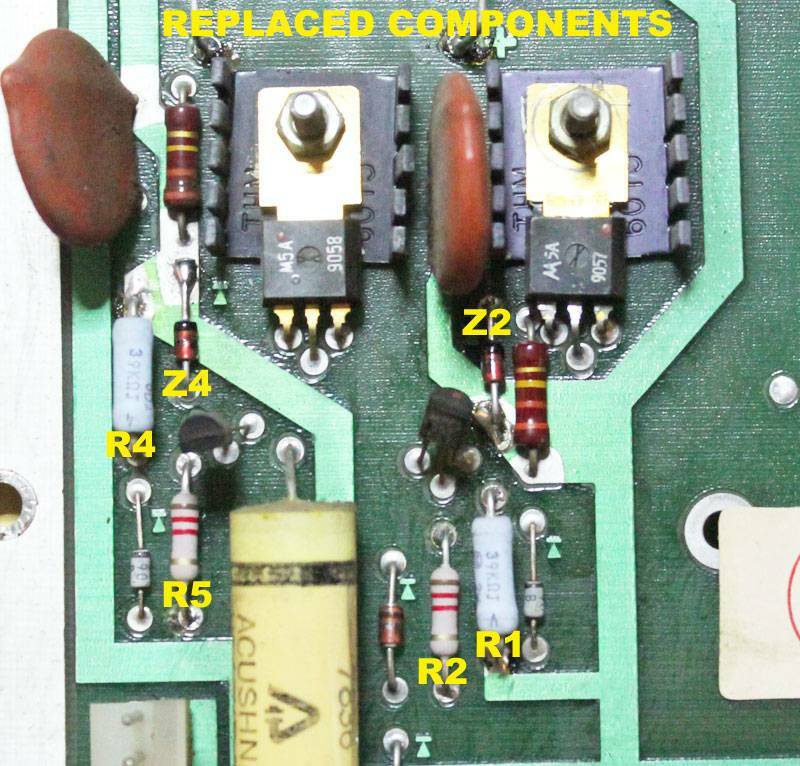 There is smoke damage on the circuit board where resistors had fried in the past. This would not clean off with alcohol, it is baked into the board itself. 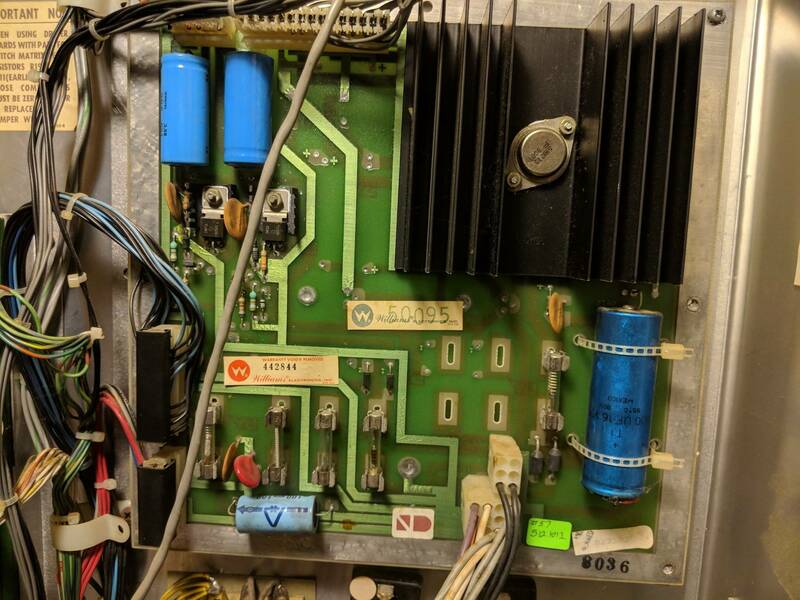 For reference the last System 7 power supply I did was only giving me +50V on the +100V line after doing the usual diode and resistor upgrades/replacements, causing a weird laggy/strobey effect on the displays. The problem was the 100mfd cap on the plus side. After the caps, to finish bulletproofing the high voltage section we need to swap out some diodes and resistors. 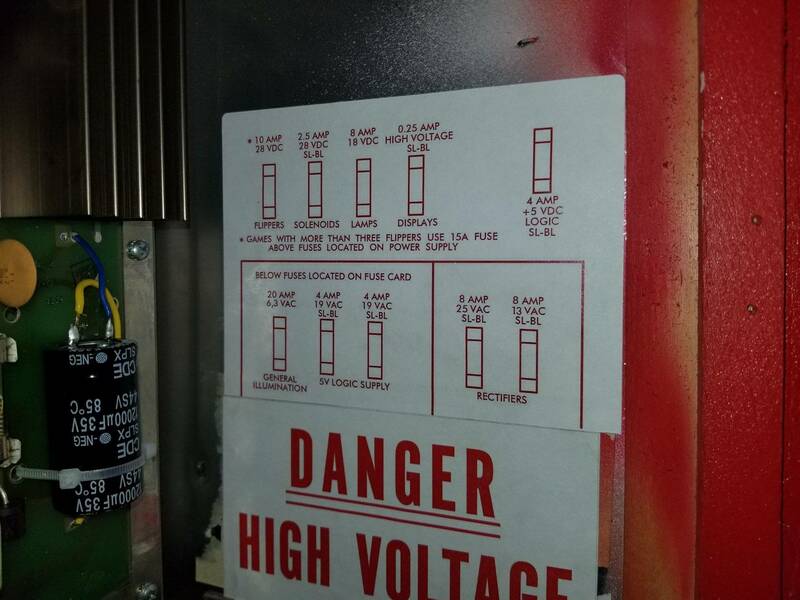 Remember, you only need to do this if you are using high voltage score displays. First we swap the 100v 1N4764 Diodes with 91v 1N4763 (Z2 and Z4). This dims the displays slightly, but makes them last 10x longer, a very fair trade off figuring how expensive displays are nowadays. 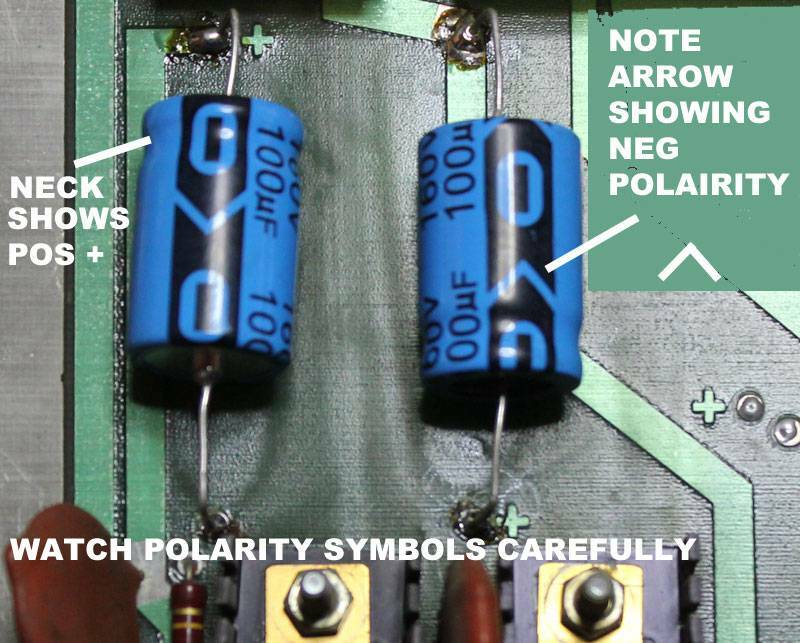 Note that the Diodes have polarity. The banded end goes towards the top of the board. 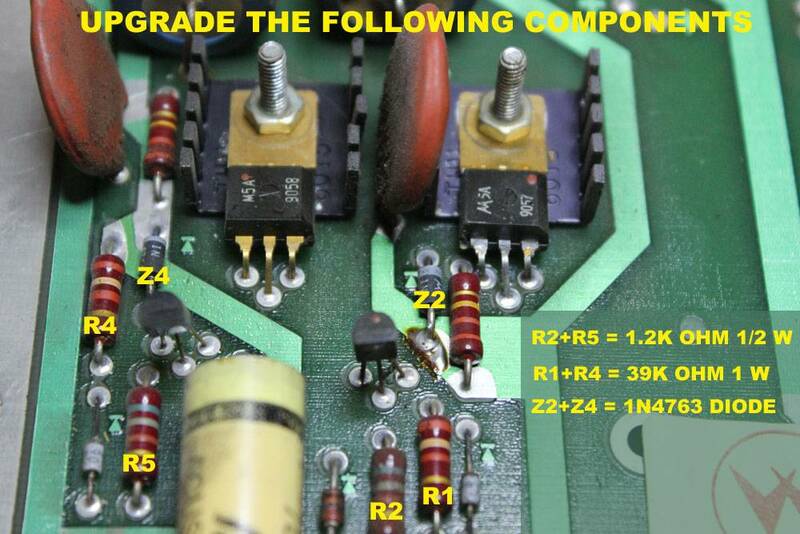 Next, Williams recommended that the 680 ohm resistors (R2 and R5) get changed out to 1.2K ohm 1/2 watt resistors. Finally, R1 and R4 are usually stressed. Replace these with 39k ohm 1 watt flameproof resistors. Solder them slightly above the board surface for better airflow. Here the required replacements have been done. Note that the beefier flameproof resistors (R1 and R4) don't have color bands, but are printed with their values instead. This is normal. 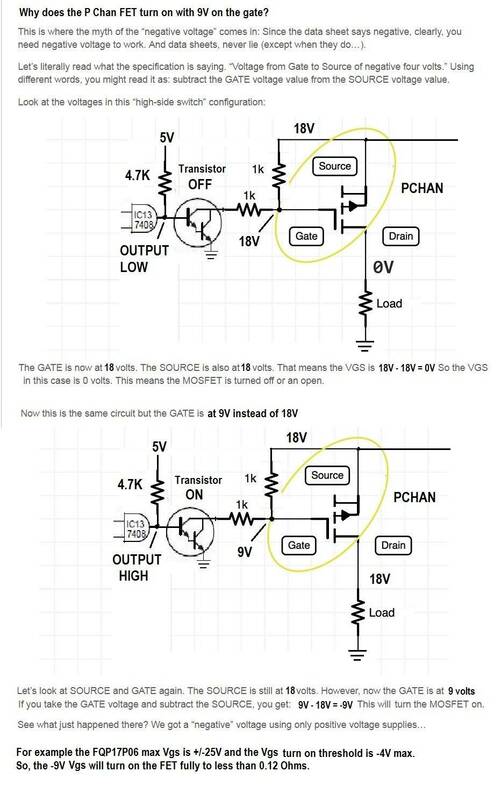 I just finished doing a couple of System 6/7 power supplies so I'm just dumping info in case it is helpful for anyone else. That's what makes a forum the ideal place for a guide like this. Everyone chipping in with their experiences and tips. Good stuff. Tony asks: "Hey Vid, I don't see those yellow capacitors (?) 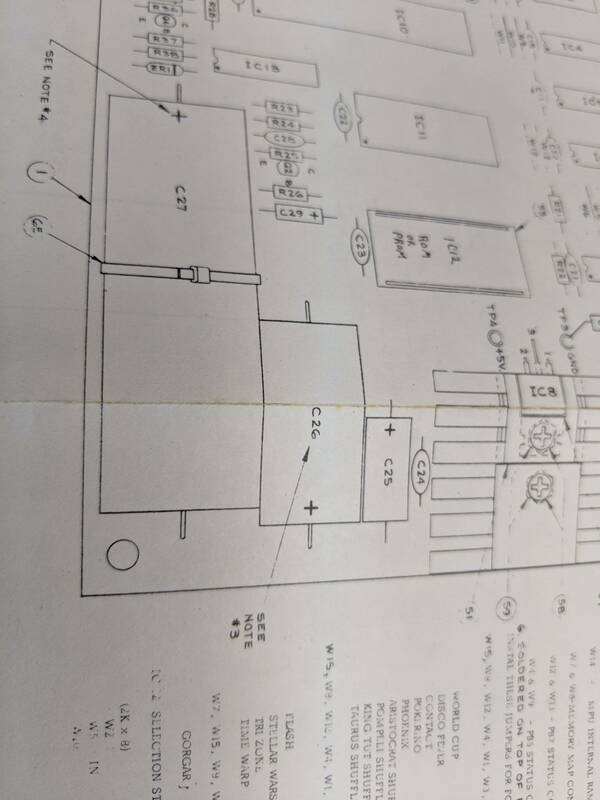 on my Power Supply, nor do I see them on the schematic. Do I need to update that?" 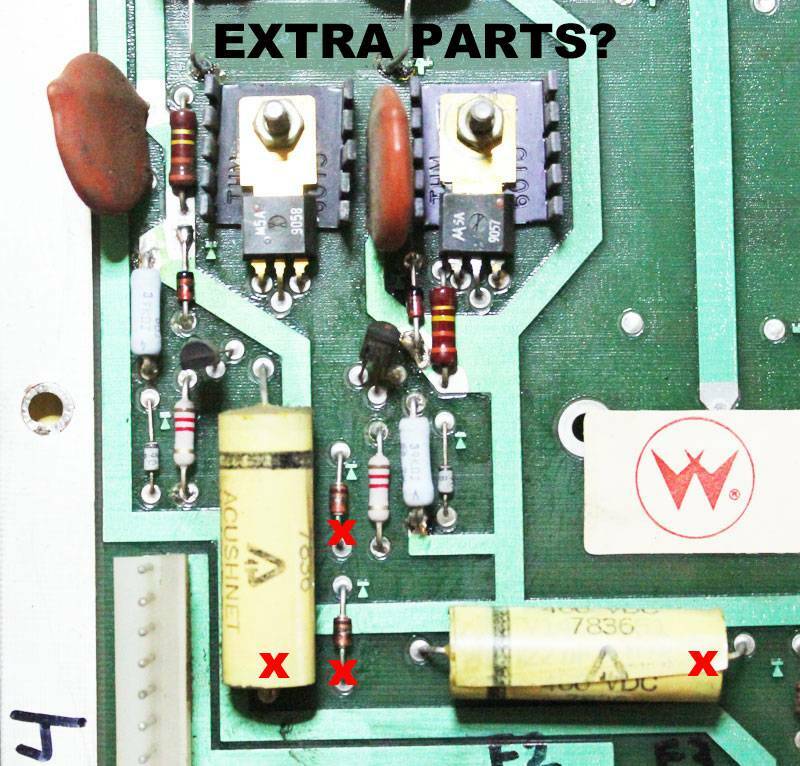 Williams had two caps (.22mfd) and two diodes (1N4001) that were used only on Hot Tip and Lucky Seven (as far as I can tell). After a while, they quit putting them on the boards at all. So unless you have one those games, don't worry if you have them, or not. If you do get one of those games, and are replacing the power supply board, remember to add them in. 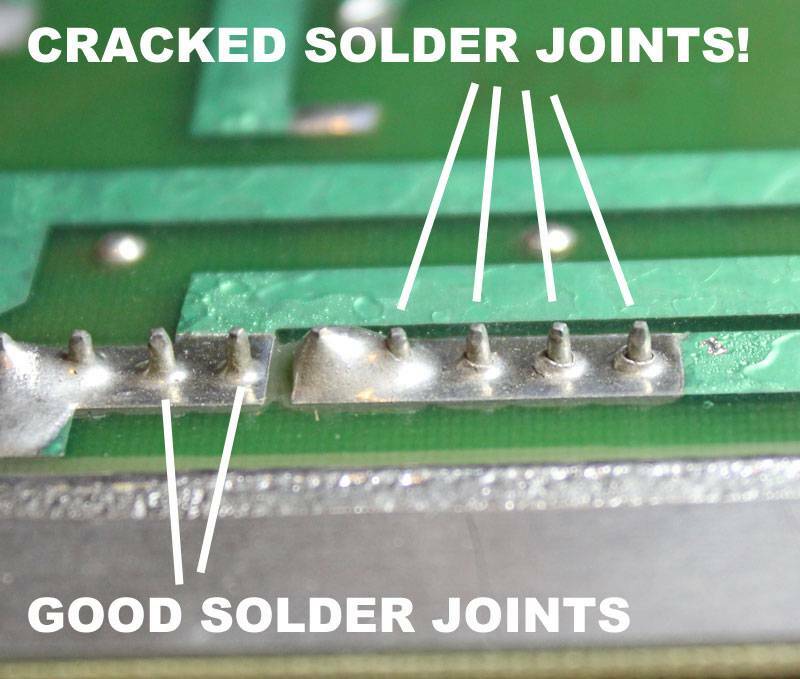 The constant vibration of gameplay + the removal /replacement of the connectors can cause cracked solder joints on the backside of the power supply. As the board warms up, the cracks open causing erratic behavior, reboots, or all out shutdown. Examine all the connector joints, including J1 and J2 in the center of the board. Note how the soft lead solder has separated from the much harder tin/steel pins. If you have an auto solder sucker like a Metcal or Hakko, it's best to remove the old, oxidized solder and lay down all fresh stuff. If fact, if you are sucking all the old solder off, you might as well replace the .11 cent connectors with fresh, square ones while you are at it. The square pins offer more contact area and are not 40 years old. Remember to heat the board AND the pins when laying down new solder. If you just heat the board, you will quickly have the same problem again. 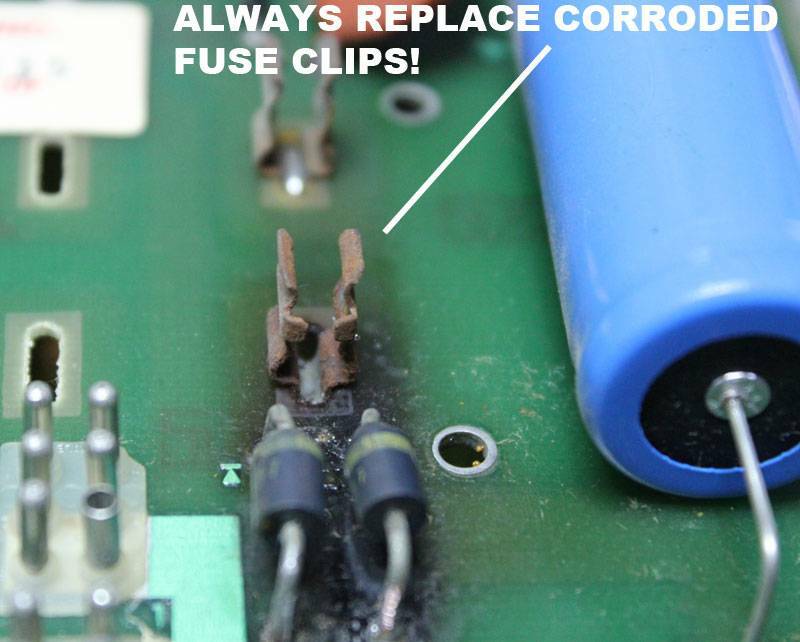 Replace any burnt or corroded pins and connectors, don't try to "just clean them up". 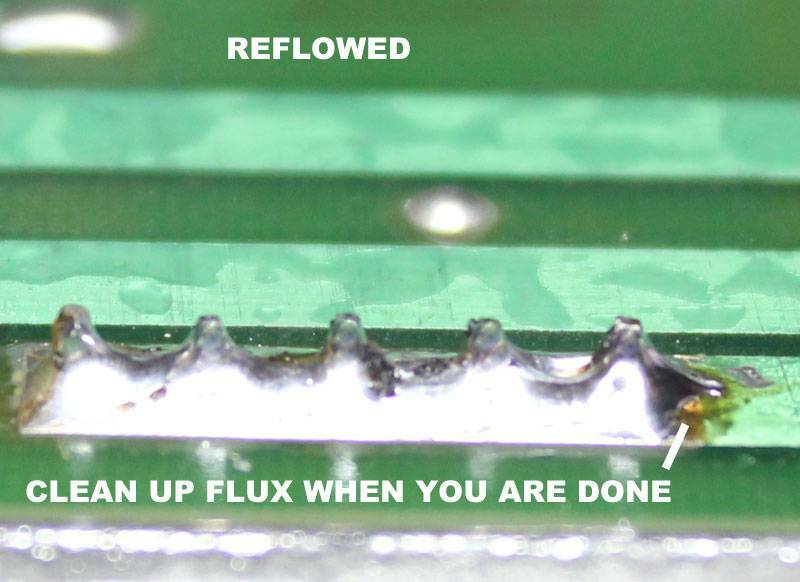 Clean up your flux with alcohol when it cools down. It's the sign of quality workmanship. Finally, label all the fuses on the board. This will prevent mistakes and help out the next owner who may not be as knowledgeable as you are. You should not have to get the manual out, or try to read some faded (or nonexistent) label on the inside of the cab if a fuse blows. 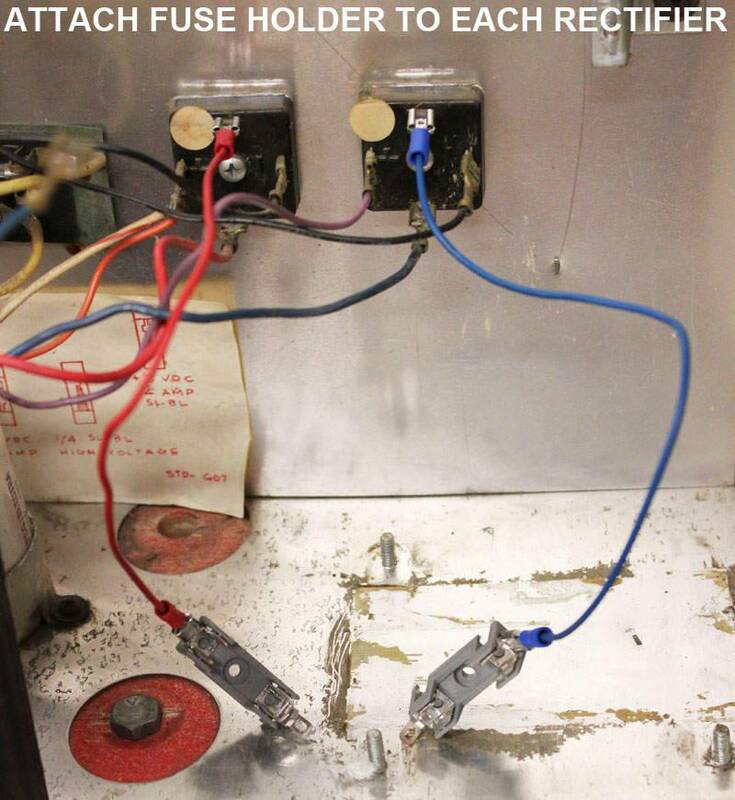 Check carefully that all the fuses are the correct size and type BEFORE returning the board to service. The F2 fuse installed when this board came in was an insane 30 amp slow blow! Are you going to cover the power transistors in the HV supply? This is more of a bulletproofing guide than a "repair every possible problem" guide. If you want, I can add a section on them, but they are covered pretty well in Clay's guides. Or I should have said, if you have a question about those transistors, I'll answer it. MJE15031 in their place - but the leg pin out is NOT the same. Trying to mount fuse holders this week in my system 3, only have 22 gauge wire in house. 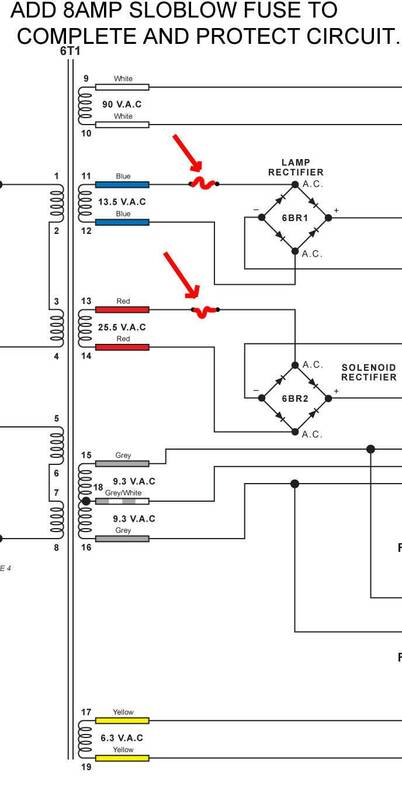 Is 22-gauge too light of a wire for fusing the rectifier? Thanks!